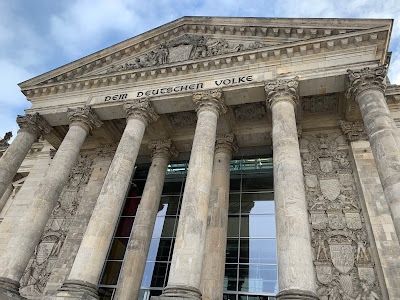 Sydney Shop Girl: The Berlin Diaries #8: Deutscher Bundestag. 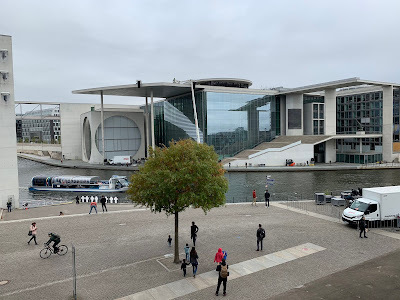 The Berlin Diaries #8: Deutscher Bundestag. It has literally been raining on my post-trip parade. All day in fact. 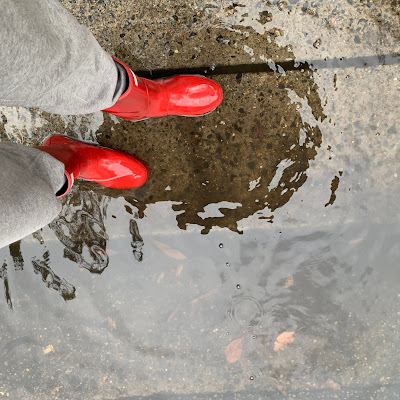 In a desperate bid to stave off cabin fever, we've just returned from a scheduled walk in gumboots up to the shops and back. There were quite a few decent puddles to stomp through as well which was a bonus. Many rounds of Jenga have been played and various things have been created from old boxes, packaging tape and coloured craft paper. The school holidays are ending soon and I'm back at work on for the weekend. So no pressure. what's left of this week, but could you give us some sun soon? Thank you. 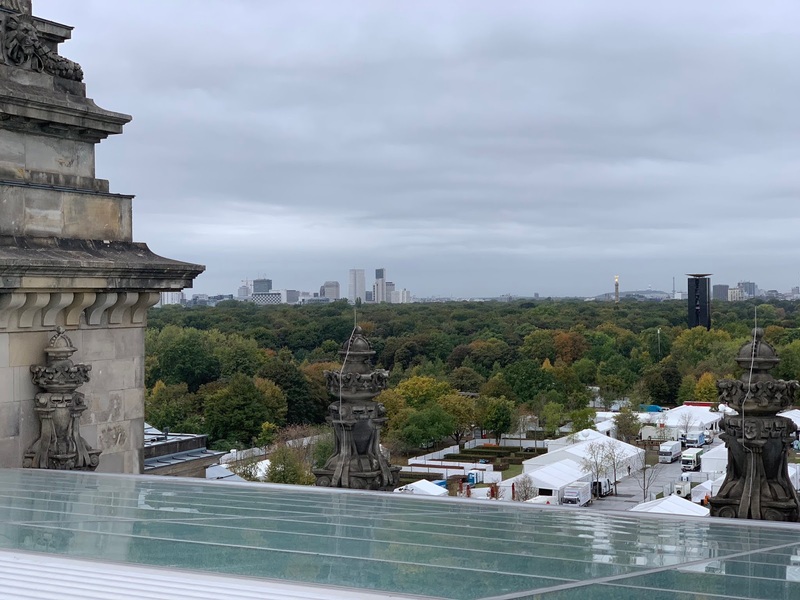 In the meantime, here's a bit more from Berlin. One of the surprise highlights of Berlin was our visit to the Reichstag Building which houses the German Bundestag. As with all houses of parliament, security is intense but it was also friendly and well organized. I have my friend to thank for booking our guided tour well in advance. You can use this website which is very informative. The tours (guided and audio tour of the dome) are both free and in my opinion excellent. The Reichstag was used from 1894 until 1933 to house the Diet. The building was set on fire at about this time and fell into decay and disuse. 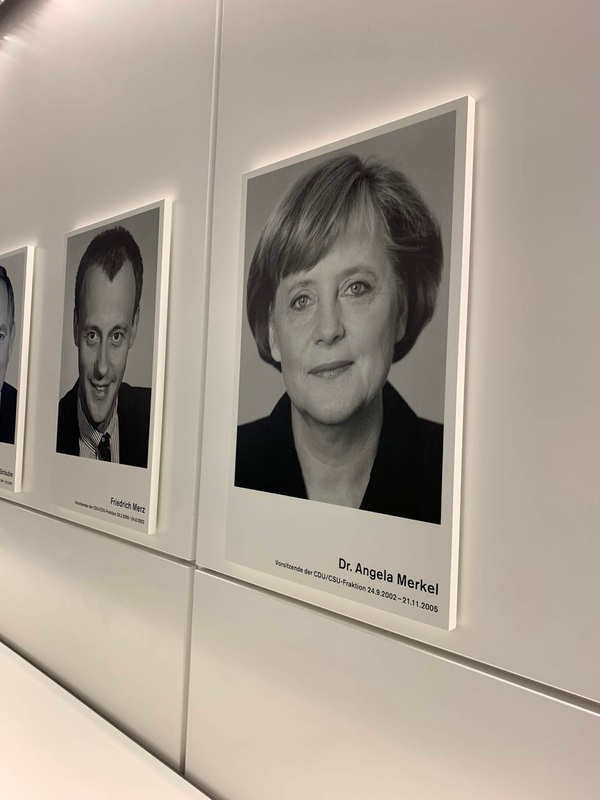 From that time, the parliament of the German Democratic Republic sat in East Berlin while that of the Federal Republic (Bundestag) sat in the Bundeshaus in Bonn. After reunification, the Reichstag Building was restored and reconstructed by the architect Norman Foster. 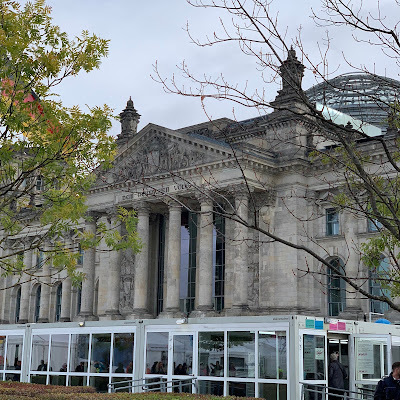 The Reichstag reopened as the location for the meetings of the modern Bundestag in 1999. 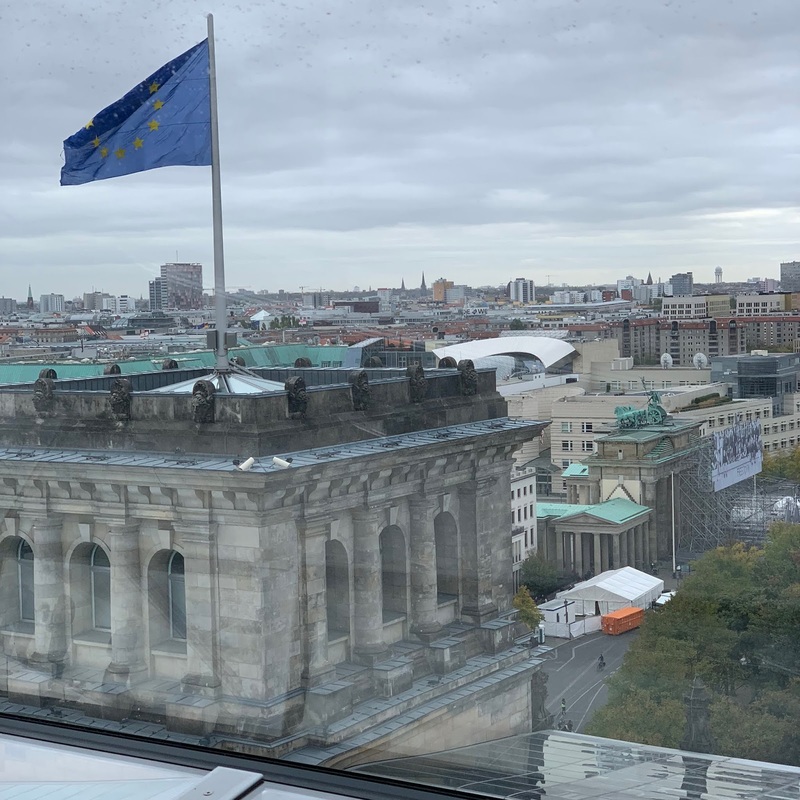 If you look out from the windows of the Reichstag you can see pavement squares which mark where parts of the Berlin Wall were. 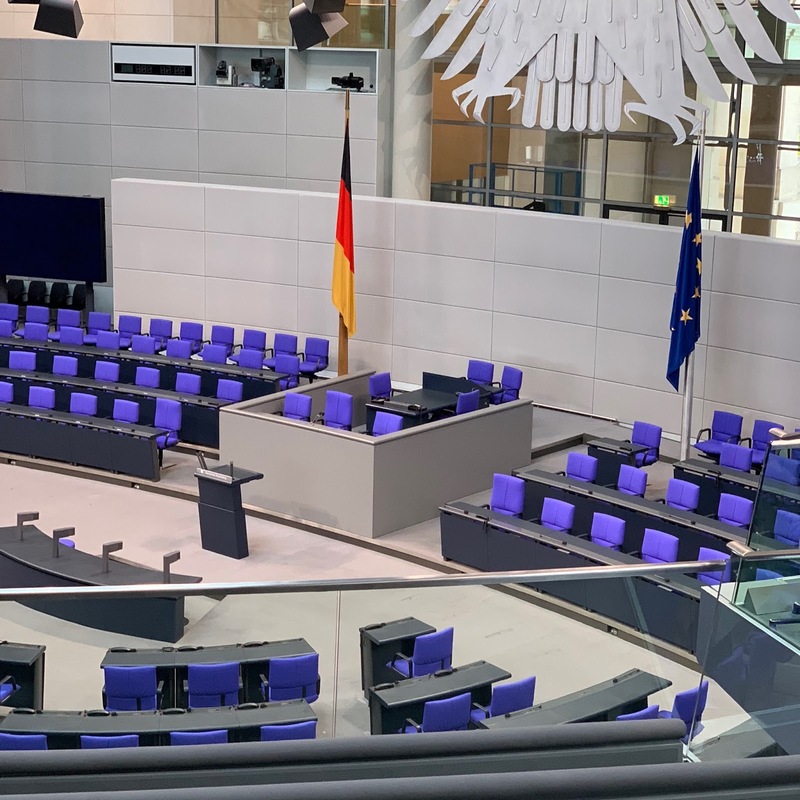 Our guided tour was a comprehensive look at both the history of Germany's parliamentary system as well as an insight into how sittings are conducted in the modern era. The buildings themselves are simple and let in lots of natural light while still retaining some of the historical elements of the original Reichstag. 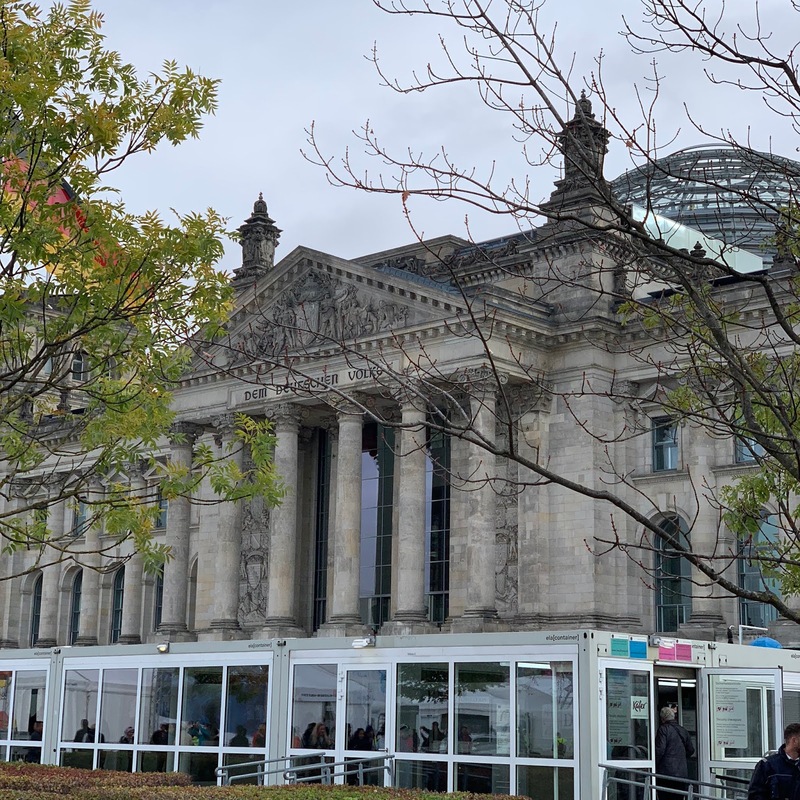 The Reichstag building was created for the people and their elected politicians to come together in a place of transparency. There are seats for both the press and the public to sit in so that they may observe the entire parliamentary process. The results of all votes are posted online and many sittings are broadcast live to the public. Angela Merkel is the current Chancellor of Germany but the former leader of the CDU/CSU group in the Bundestag. 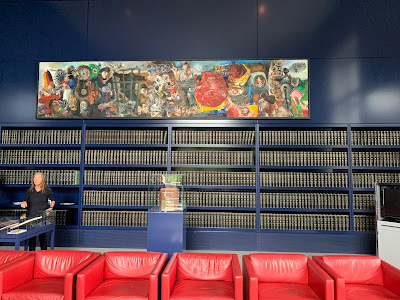 This is one of the rooms where all elected politicians are meant to sign in for each day that parliament sits. After our tour, we took a lift to the roof and braved the wind and rain to make for the entrance to the Reichstag dome which offers a 360 degree view of Berlin. 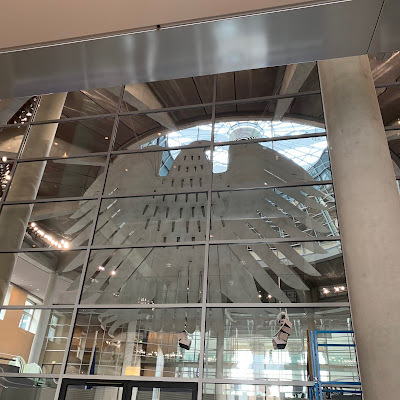 The mechanics of the dome are complex and besides being visually stunning, its mirrors and windows also serve to create energy from the elements. 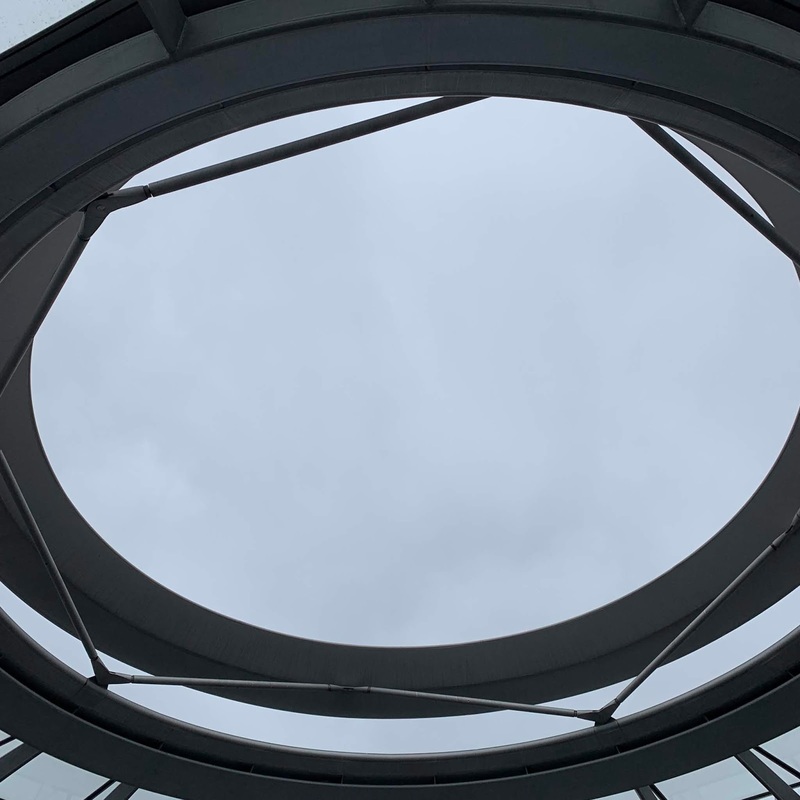 The centre of the dome is entirely exposed to the elements to represent the exposure / transparency of all who work within the building as the represent the electorate outside it. 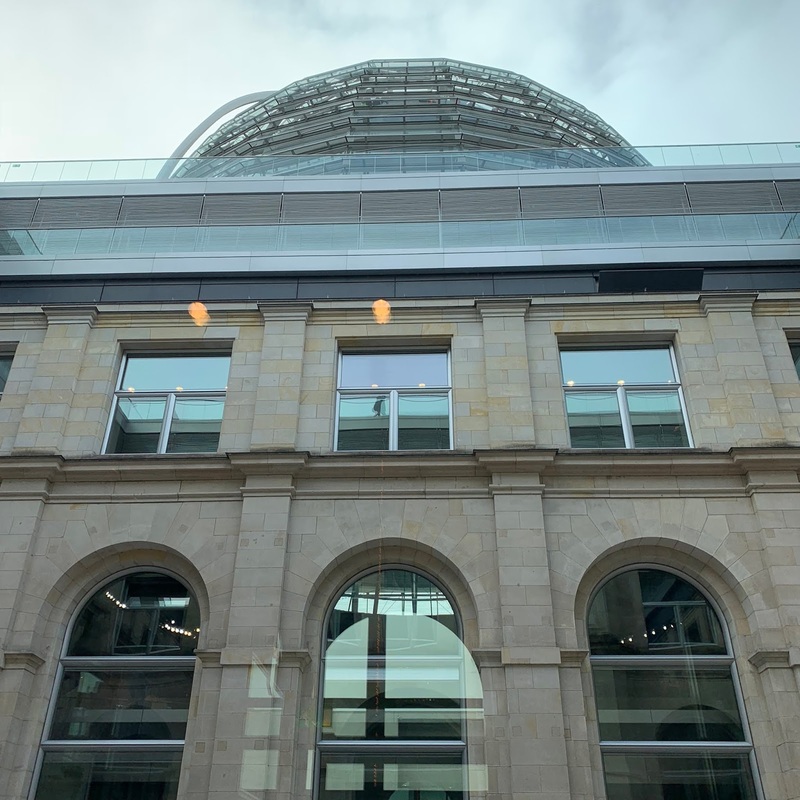 A gently sloping walkway hugs the inside of the dome. 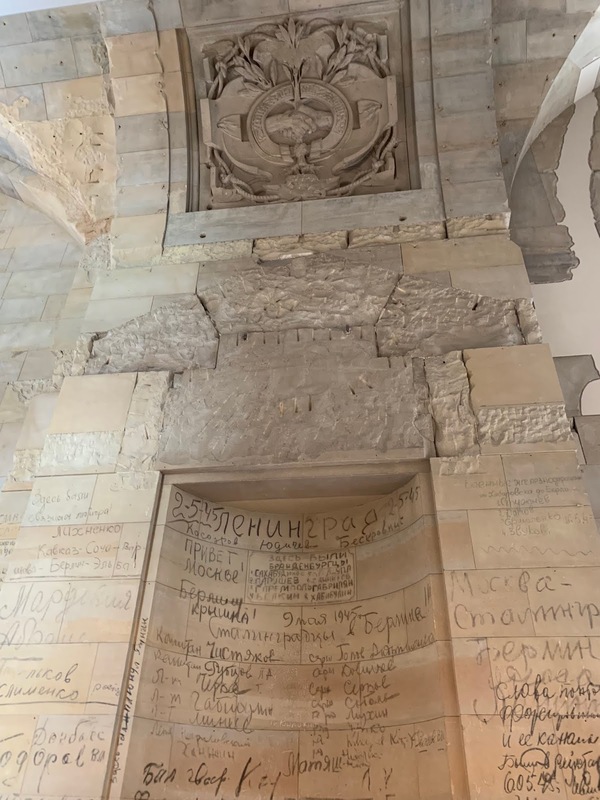 The audio tour even has moments for you to pause and turn so that you can fully appreciate each landmark in the view as it is discussed. 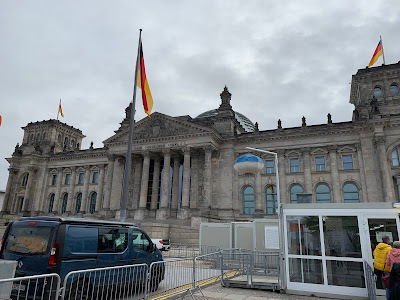 It was a very informative and enjoyable way to learn about the German parliamentary process. 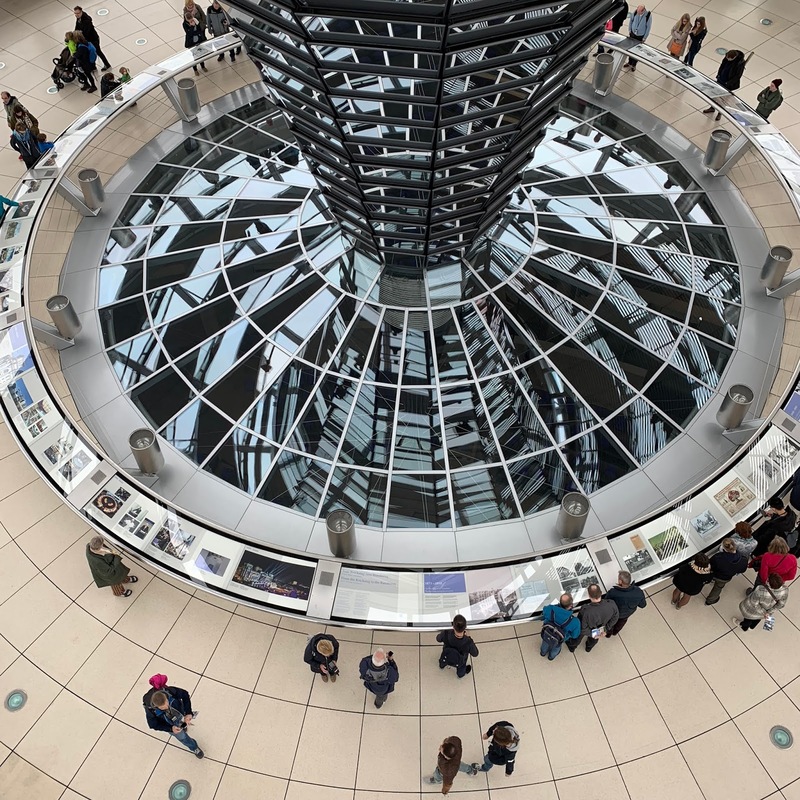 We had such a tight sightseeing schedule that I'm glad that I decided to walk the dome of the Reichstag rather than trying to battle the crowds for the view from the top of the TV Tower. Life This Week 29/10/2018: I Want This. 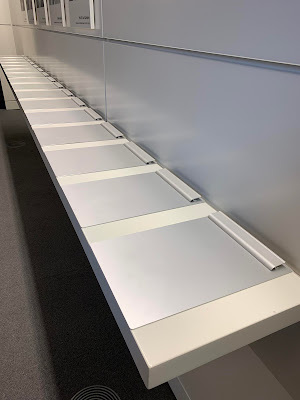 Lovin' Life 25/10/2018: Kmart is the New Ikea. Life This Week 22/10/2018: Quick Meal Ideas. We Had Some Sun For A While There. The Berlin Diaries #10: The East Side Gallery. 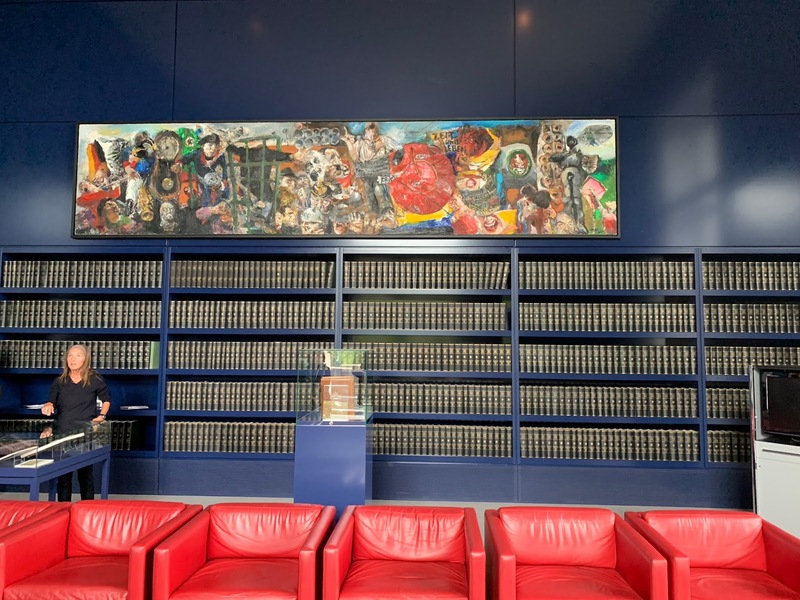 A Sentence (or Two) A Day: September 2018. Continental Drift 1/10/2018: A Day In The Life. Life This Week 1/10/2018: Share Your Snaps.